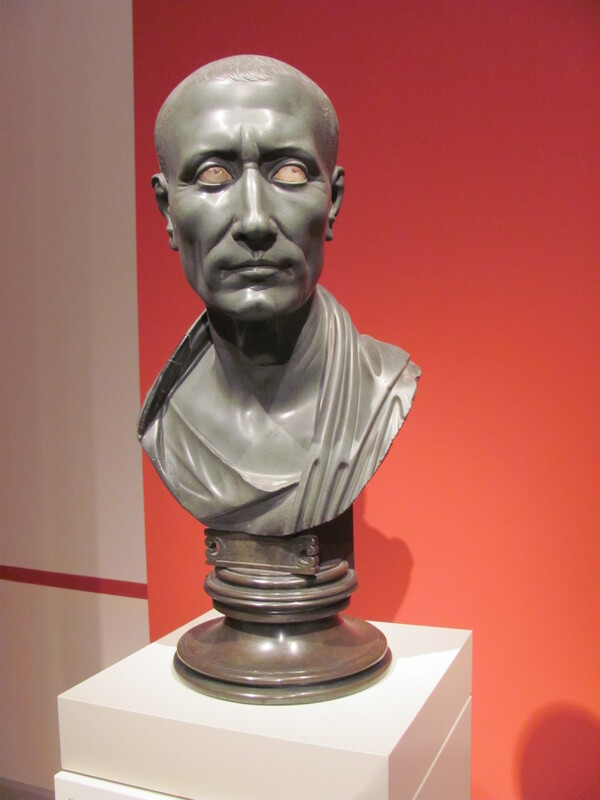 ‘Julius Caesar was not Emperor.’ – Or was he? This little fact is one that we students and scholars of Roman history like to tote out and display to our friends and family, demonstrating our superior knowledge of the Roman world through it. What we mean is that Julius Caesar was not the first person to establish an official position within the structures of the Roman state that gave him some degree of lifelong autocratic power and ushering in an age of monarchical rule. Not that he didn’t try — hence the Ides of March. The establishment of the Principate, and therefore the ‘Empire’ by Octavian ‘Augustus’ is one of the big watershed moments in Roman history. It is the dividing point between what we call ‘Republic’ and ‘Empire’. It’s a big deal, and worth talking about and considering a big deal — whether you count it from 31 BC at the Battle of Actium when Octavian gains sole power over the Roman Empire or from 27 when he is officially invested with the title of Augustus which emperors would use down to Konstantinos Palaiologos XI in 1453. So, while I would say that we are in a particular sense correct in seeing Augustus as the first of something new, it need not follow that Gregory is wrong in seeing Augustus’ great-uncle Julius as the first as well. What Gregory actually says is that Julius Caesar was the first imperator who obtained the monarchia of the entire imperium. I suppose, when we consider the various dictators and others who attempted the gain sole power of the Roman imperium in the Late Republic, it could be argued that Julius Caesar was not the first of one thing but the last of another. But that may just be splitting hairs so much that we go nowhere. Imperator is the term given by the Romans to a general who holds an official capacity of command in a given area or situation. Power of command in Latin is imperium. From these words come emperor and empire. Of the different imperatores, Julius Caesar, after the defeat of Pompey in civil war, established himself as the holder of sole rule (mon-archia — this word is Greek) in the lands where the Roman state held power of command (the imperium, the empire). Given that his assassination did not stop the consolidation of power in the hands of a couple of individuals — Mark Antony and Octavian — who were considered his heirs and then one individual — Octavian/Augustus — it could be argued that Julius Caesar, with his dramatic military and political activities, was the man who established the scenario in which one man could/would emerge as princeps (leading man — the term used of early emperors), as sole imperator. Had he not been assassinated, he may have lived long enough to become dictator for life and establish a constitutional way of being princeps as Octavian/Augustus did. But he died before such could transpire, so we tend to consider Augustus the first Roman Emperor. Everyone else seems to have thought so as well. This November, I was at a conference about the fifth-century (AD) poet, letter-writer, and Bishop of Clermont-Ferrand, Sidonius Apollinaris. In the poem analysed by Aaron Pelttari’s paper, Sidonius refers to Ovid as having been exiled by the second emperor (I forget the exact wording and which poem this was — apologies!). Timothy Barnes reminded the room in question time that back in the ancient world, everyone considered Julius Caesar the first emperor, not his great-nephew Augustus. I believe Tim Barnes, even if I cannot marshal the evidence here. But it is an interesting fact that the idea of Julius as the first emperor is not some mediaeval misreading of the evidence or a fabrication of Astérix. The ways we examine and delineate history, the demarcations we make with our own ‘scientific’ way of examining the past, are not necessarily those of the men and women who lived through it and handed on the record of the past to later generations. While I think there are hard and fast truths in history, humility should keep us from thinking that our way of seeing the past is the only one and that we have all said truths bundled up in our hands. This entry was posted in Ancient World, Books, Classics, History, Mediaeval and tagged aaron pelttari, emperor augustus, gregory of tours, julius caesar, lewis thorpe, sidonius apollinaris, timothy barnes, who was the first emperor of rome on April 23, 2015 by MJH.